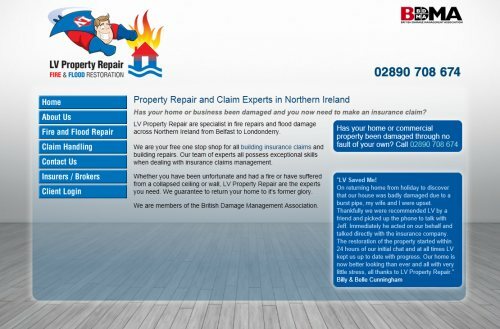 LV Property Repair specialise in restoring domestic and commercial properties following flood or fire. Providing a one stop shop the company helps property owners deal with their insurance companies and restore their property in record time. With a tight deadline we completed the job urgently to provide the customer with a solution that will promote their business to customers throughout the Country. The website provides a secure online login facility that allows customers to check on the status of their jobs.